We have an upper hand in offering a variety of laces and other garment accessory such as Extra Heavy Duty Caster Wheel With Taper Roller Bearing. This Extra Heavy Duty Wheel with Taper Roller Bearing is known for its hassle free performance. The offered Extra Heavy Duty Wheel with Taper Roller Bearing is widely used in handling a combination of radial and thrust loads. We bring forth an attractively designed range of Extra Heavy Duty Nylon Wheel With Taper Roller Bearing. This Extra Heavy Duty Nylon Wheel Taper Roller Bearing is offered by us in various sizes. The best quality of Extra Heavy Duty Nylon Wheel Taper Roller Bearing is offered by us to customers at reasonable rates. 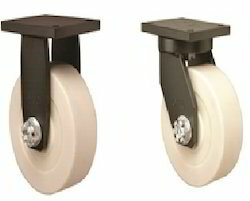 We are instrumental in offering a premium quality range of Extra Heavy Duty Caster Wheel. 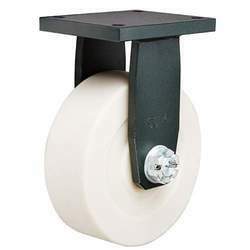 This Extra Heavy Duty Caster Wheel is offered by us in various specifications and sizes. 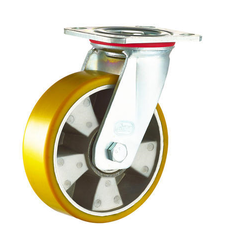 Extra Heavy Duty Caster Wheel is widely used in mobile towers & travelling gantry etc. Our products are easy to use. With thorough knowledge and understanding of the diverse needs and demands of the customers, we bring forth an exquisitely crafted range of Extra Heavy Duty Polyurethane Wheel. The offered Extra Heavy Duty Polyurethane Wheel is extensively used for industrial wheel applications and in many other. With growing demand of creations in the fashion world, we offer our clients a wide array Extra Heavy Duty Nylon Caster Wheels that has captured a great attention of clients all across the nation. 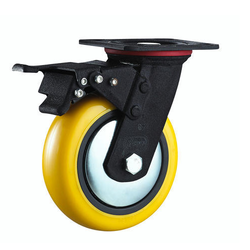 The best quality of Extra Heavy Duty Nylon Wheel is extensively used for polyurethane covering of various. Looking for Extra Heavy Duty Wheels ?